Information Technology Services is excited to announce our fifth annual Technology in Teaching Expo. All Northeastern University faculty and staff are invited to engage with colleagues, share knowledge, hear how different departments are using technology and how Information Technology Services is supporting your efforts. Participant panels will take place in three locations in the Interdisciplinary Science and Engineering Complex. Panel members from around the university will discuss and share their classroom challenges, concerns, perspectives, insights and solutions. Panel information sheets and resources may be downloaded here. Participants who would like to join remotely can watch the event via Microsoft Teams Live Events. Each session will have an individual Join link listed below the panel information on this page. Note that to prevent background noise during the session, the remote audience may be muted during the presentation. Please use the chat function in order to ask questions or make comments. Please review the linked information about joining Teams Live Event Sessions. You may join via browser if you are using Chrome or Firefox, or you may download the Teams app on any computer. If you need help logging into the web session, call the help desk at 617-373-4357 for assistance. Participants may begin arriving at 8:00 to pick up their registration materials and have breakfast. 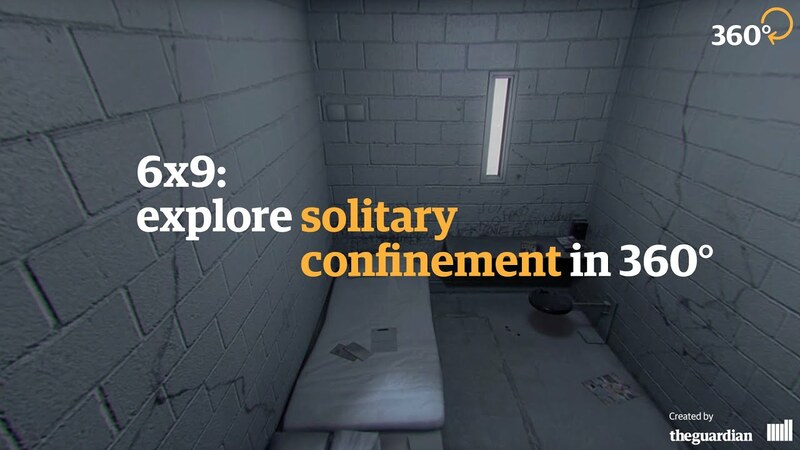 During this time, we recommend that you download the GuardianVR app on your phone and watch 6×9: A Virtual Experience of Solitary Confinement in the cardboard viewer in your bag, if you have not already. Our keynote will be discussing this video. Headphones are recommended for the best viewing experience. You may visit the Virtual Reality help desk during breakfast to get help with the download. More information about downloading and viewing this experience can be found here. Cole W. Camplese serves as the Vice President for Information Technology and Chief Information Officer at Northeastern University. In this role, he oversees Information Technology Services and the many services that support the needs of the educational, research, administrative activities, and innovative endeavors of the University. As Chief Information Officer, Camplese is charged with the creation of strategic IT initiatives that align with the University’s mission, culture, and long-term goals. He works closely across the campus community with the Provost, Deans, students, faculty, and staff to deliver programs and services that enhance teaching, learning, research, and student experiences. Francesca Panetta is an Executive Editor at the Guardian, and currently a Nieman Fellow at Harvard. She specialises in experimental storytelling using emerging technologies. Most recently she ran the Guardian’s in house Virtual Reality studio which produced 6×9: A Virtual Experience of Solitary Confinement which won numerous awards and toured around the world including Sundance, Tribeca, Cannes and at the White House. Panetta will be speaking a about developing immersive experiences to promote viewer engagement with tough topics. 6×9 may be viewed by downloading the GuardianVR app on your mobile device. Through that app, you can find a number of projects that Francesca has produced, including 6×9. More information about downloading and viewing this experience can be found here. Stephanie Trowbridge will provide an overview of how the Northeastern Learning Environment is responding to the vision of Northeastern 2025, incorporating feedback from the university community. Stephanie Trowbridge serves as the Assistant Vice President for Academic Technologies. She holds an MS in Project Management and BA in Management Information Systems. Stephanie has worked at Northeastern for more than 20 years in the many areas of Information Technology that support teaching and learning. This experience has enabled her to create an agile academic technology group that continues to evolve and innovate as the needs for teaching and learning change. The launch of the SAIL (Self-Authored Integrated Learning) framework at Northeastern has provided an opportunity for faculty and staff to reflect on the ways in which we are both learners and educators at the university. Speakers in this panel will talk through a number of opportunities for faculty and staff to support their own development at Northeastern. A representative from the SAIL project will address how the framework can help you reflect on your development. A member of the Lynda/LinkedIn team will provide a preview of LinkedIn Learning, the evolution of Lynda.com’s extensive collection of online video training resources. Students spend on average $484 on textbooks annually, but surprisingly, this number is actually decreasing because of a growing collection of open educational resources, better utilization of library collections, and the availability of tools that allow faculty to create their own content. In this panel, a Northeastern librarian will introduce Leganto, a tool for easy integration of resources that the library owns. Attendees will also hear about the library’s open educational resource initiative, which provides support for adopting open educational resources in place of commercial textbooks. Finally, a panelist will present on the process by which she made her own interactive text book using university tools and shared her content with colleagues teaching the same course. Visit the digital poster session to get a closer look at projects in progress. Online course design: Notes from the CSSH interdisciplinary faculty working group. The presenter focuses on the on-going “Online Learning and Teaching in CSSH initiative” that was started in fall 2018. First, the presenter briefly outlines the online course design training program developed for CSSH faculty in collaboration with ATS and CATLR. Next, the presenter shows specific examples of content items, interaction/collaboration items, and assessment items that faculty have developed, as well as the lessons learned so far. Arming A2M Scholars with Technology to Succeed. The Associates to Masters (A2M) Scholars program is an NSF funded S-STEM program that scholarships and supports low-income students through an associate’s degree at Middlesex Community College and Bachelor and Master’s degrees at Northeastern in Biotechnology. Students receive scholarship money to cover tuition costs, but also additional supports in increase student retention, including laptops, textbooks, a specialized advisor coined a “Biotech Navigator”, team building events, mentoring, internships, and more. Here, we share what technologies we have found valuable for students to succeed in the classroom and communicate outside of the classroom, including the selection and implementation process. Leveraging Blackboard’s Hidden Features in an Educational Study: a Use Case. Notice how there are 14 options in Blackboard dropdown menus when you just want to run an item analysis? They have some use! When I started an educational study to determine which method was most effective for student learning I had specific tools I needed to set things up and collect data. It turns out Blackboard had much of what I needed “hidden” in menus I never used. With the help of Academic Technologies I was able to leverage these already-available tools to structure my study! Digital Posters: Maximizing Instructional Impact. How do we provide for instructor engagement, assessment of prior learning, building a community of learners, and supporting student success? Using Digital Posters for deeper student learning is explored through models, student examples, and student feedback. As instructors, we design our online courses with assumptions about which course features, resources, and activities are important for students to view and/or engage in. But how do we know that students access these resources as anticipated and/or that engaging them is associated with student learning or success? This presentation will highlight some open-source Learning Analytics methods and tools that can be used to analyze course design and student activity within courses, in order to better understand what is working and what might be improved or revised. Northeastern University is home to some of the smartest students in the world. Information Technology Services (ITS) Customer Experience and Engagement has created a student employee program that harnesses these talents and allows student employees to apply their classroom, co-op, and personal interests within the IT field. There are many benefits to using video in education – among them are facilitating problem solving, assisting with learning, and engaging and inspiring your students. See how Academic Technologies can provide support and assistance from concept to completion to help you create videos to support your teaching efforts. Volunteer Science is a Northeastern-based startup you can use to expose students to experiments across the social and behavioral sciences. Students can participate in experiments in class, create experiments as part of assignments, or participate for extra credit. Students can perform experiments with markets, implicit cognition, bargaining, problem solving, and even content coding experiments with one click. This poster will demonstrate how the Service-Learning Program at Northeastern University has utilized WordPress to create an archive of digital artifacts that represent student learning from service-learning courses across 8 colleges at the university. This archive, the Virtual EXPO, can be updated, organized, and catalogued over time to reflect each semester’s work. Learn how to leverage Microsoft Teams and SharePoint to streamline your communication and collaboration process. During this poster session, you will hear about uses of these tools throughout the university and learn how to get started. The Instructional Design Group for the D’Amore-McKim School of Business will present their plans to enhance the teaching and learning experience for faculty and students by promoting the adoption and integration of interactive learning tools such as Microsoft Teams, Articulate Rise, Poll Everywhere, and Northeastern’s Self-Authored Integrated Learning (SAIL). Through classroom demos, faculty showcases, and interactive workshops, we aim to build upon our professional learning community by creating high-quality, media-rich, and engaging face-to-face and online learning experiences at D’Amore-McKim. No remote join options are available for this session. Presentations will be linked after the event. Get lunch and connect with your colleagues. Office 365 offers a number of tools that can enhance teaching, learning, and collaboration. In this panel, you’ll hear from faculty in CSSH, staff from Bouve, and staff from Sports Performance. Faculty and staff presenters will share uses of Office 365 Teams for teaching and learning, Office 365 tools to support student athletes and training, and using Office 365 Bookings for scheduling. Presenters in this session will share insight into the tools they use within the Office 365 suite, best practices for use as it pertains to their use cases and pro tips for others leveraging the tools. In support of Northeastern 2025’s data focus, a number of initiatives using a variety of technologies are currently underway. In this panel, you will hear from the Chairs of the University Assessment Advisory Board, faculty teaching in Pharmacy, and assessment team members from the College of Professional Studies. Panelists from the Assessment Advisory Board will share the institutional goals and technology search process for a toolset to support our university assessment needs. Pharmacy faculty will share their use of our Northeastern’s portfolio tool, Digication, for assessment of professional development and feedback. The CPS assessment team will share their goals for using learning analytics obtained from Blackboard Analytics which will soon be rolled out. Throughout the panel, you will hear about the institutional vision for assessment, lessons learned, technology opportunities, and more all-around assessment practices. What does it look like to truly teach anytime, from anywhere, to anyone? Faculty and staff at Northeastern are actively exploring this question and are teaching globally. In this panel you will hear from faculty and staff in Khoury College and the College of Engineering and supporting staff from Seattle campus. Faculty and staff presenters will share their experiences with teaching virtually to students in London, livecasting to students in Silicon Valley and Seattle, and what supporting these initiatives looks like. Throughout the session, you will hear about technology used, best practices, and lessons learned. Special guest appearance will be made by our new Double Robot! As more focus is placed on developing student competency in modern coding, graphics, and analytics tools, Information Technology Services is investigating a variety of solutions to provide custom integrated computing environments by faculty request. In this panel, attendees will hear about recent and in-progress pilots conducted in College of Professional Studies and Khoury College of Computer Science. Pilot projects provided a cloud-based virtual lab, computer lab, software and computing, and teaching and learning support related to software skills acquisition. The Feedback Session title designates that Information Technology Services is still investigating solutions, so attendees will be able to talk through their use cases for virtual computing environments in the teaching and learning space and get advice from current pilot coordinators and ITS Systems team members. Join your colleagues and members of Information Technology Services for a closing cocktail reception. Last year’s schedule and recordings available on the TEXPO 2018 page.